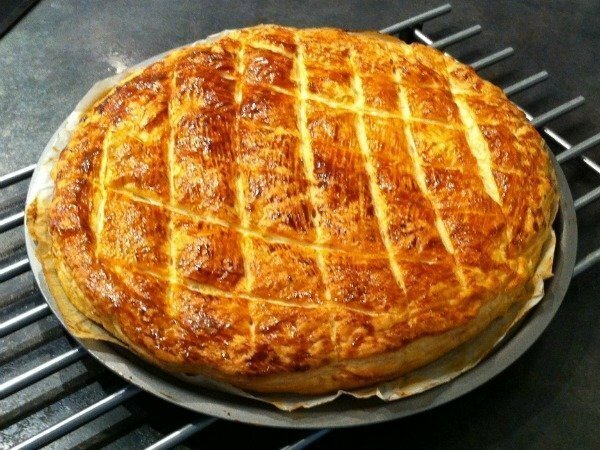 January is the month of la galette in France. 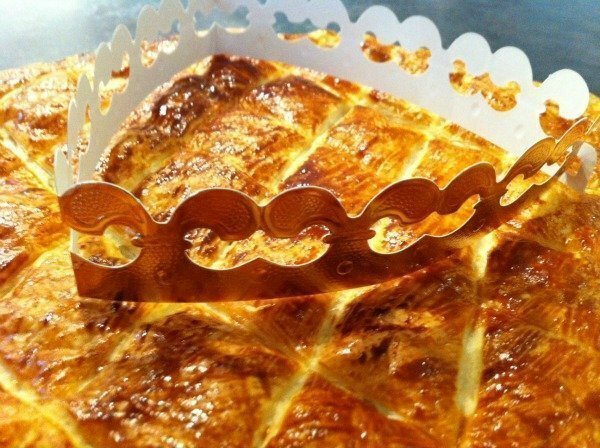 La galette des rois, or King’s Cake, a flaky buttery pastry filled with almond paste, is traditionally eaten at Epiphany on 6th January, but in reality it’s eaten throughout the month at social gatherings, schools, offices, New Year ceremonies and so on. 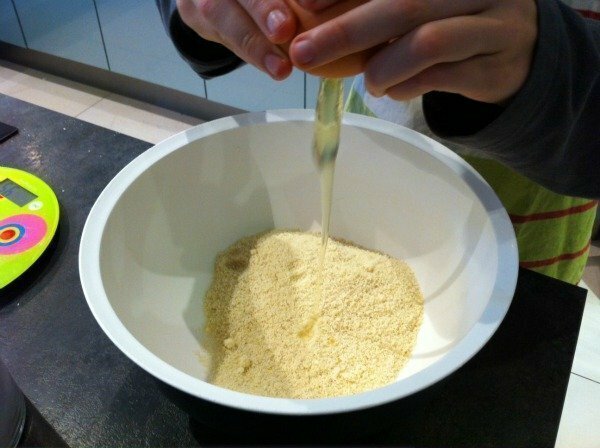 As today is Epiphany I thought I’d share with you just how easy it is to make your own galette des rois. For details on the traditions that surround the eating of the cake take a look at this post I wrote a while back. 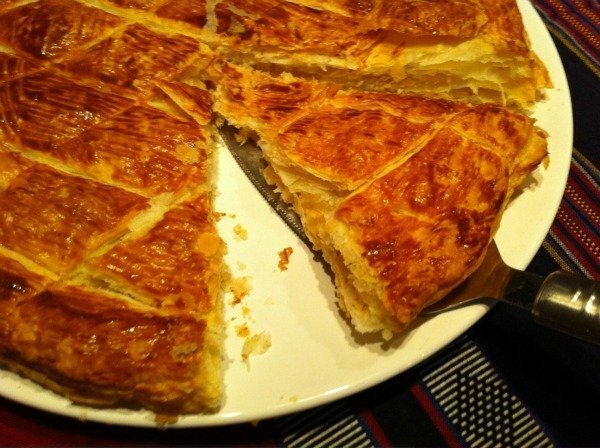 Making your own Galette des rois is very simple, assuming you can get hold of ready-made puff pastry. In France we’re spoilt with excellent quality puff pastry that comes ready rolled with its own baking paper, available in every supermarket. And even better than that, during the festive period, roughly December and January, kits of puff pastry with a crown and figurine are sold too! 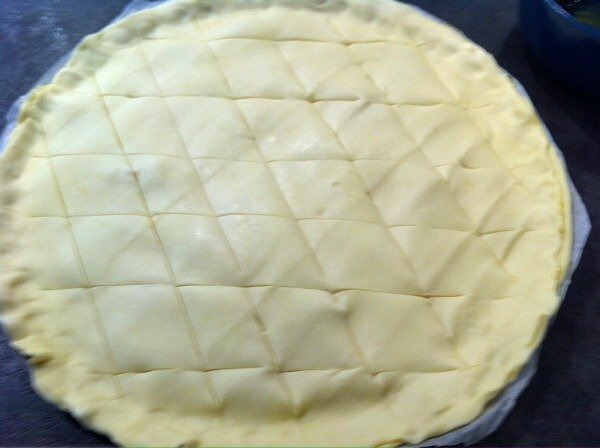 Place the 2nd round of pastry over the top and pinch around the edges to stick it firmly closed. And this is what you do next! Lick your buttery fingers and crown the King or Queen – the lucky person who gets the fève. You can read the explanation of this unusual behaviour here. 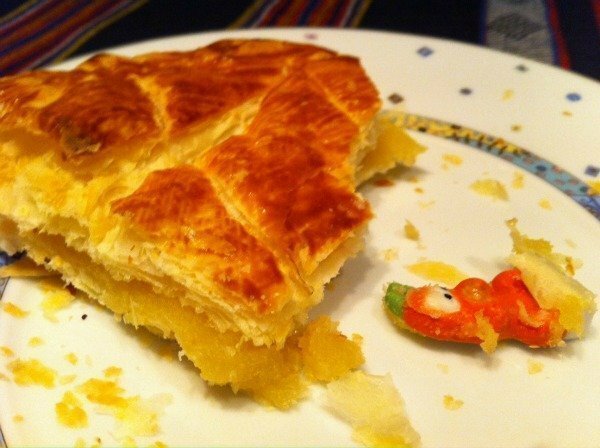 You can also buy puff pastry at your local French pastry shop – even better than the premade supermarket type! In the States, Pepperidge Farm makes an acceptable substitute but you have to roll out the seams. Wow! We enjoy a bakery bought gallette every year but now I’ve seen how simple it is, I am definitely giving it a go myself next year!! Thanks for sharing. It is very good, I promise you!!! 😀 But it’s about as far from “free from” as is possible!!! Thanks for pinning Angela, I hope you try it one day. 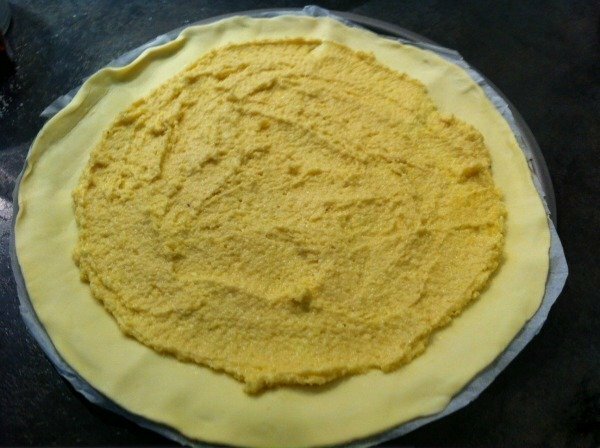 As long as you don’t have to make the pastry, then it’s easy as pie!!! It’s super easy, you should try Sarah. I’d never thought of making it before – just one of those things that I assume is way beyond my capabilities. Thanks for making it possible! Will definitely try next year. Wow, this sounds divine! 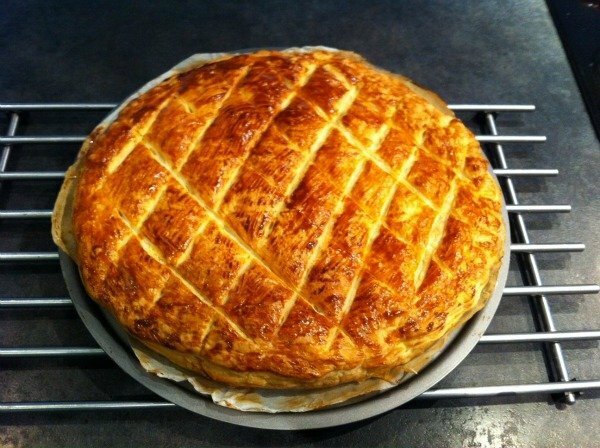 We’ve never tried a Galette des Rois before, but having seen the ingredients I can certainly imagine that we’d love it – sounds fabulous! I love the tradition of the young child calling the names out for who is served a slice next and making the feve finder random. Oh my word! That looks utterly incredible!!! Wow! It’s a fun tradition to do with young kids. You can make it throughout January Jen, so there’s still time! Panettone’s good though. Oh it is Kara, it is!! You could make it so easily Danielle, it’s very simple! I don’t like the fruit couronne nearly as much either. ha ha Richard, you are outnumbered! 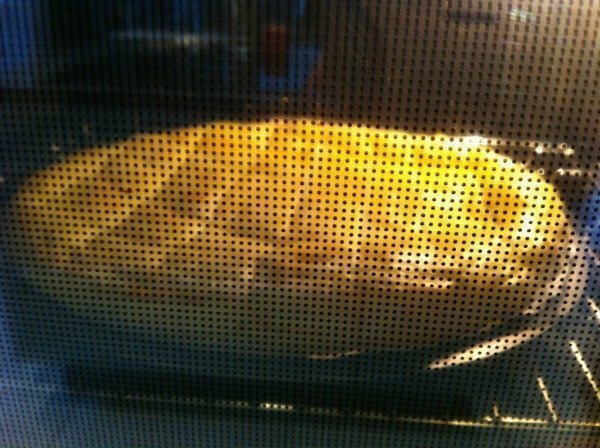 Yes it’s similar to that Gretta, but with a yummier cake to eat!!! I wish I could just enjoy mentally tasting things, but that’s not enough for me! That’s the good thing about making your own, you can adjust the amount of sugar. Personally I don’t like apple filling, but sometimes make a chocolate filling! 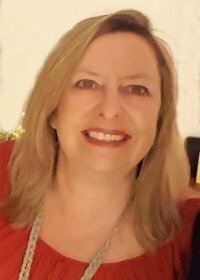 Hi Michele, you can’t use marzipan because it doesn’t have the same texture, it’s got to be a paste/cream rather than the more solid texture of marzipan. If you can get ground almonds it’s really not hard to make. I think the King’s cake in New Orleans is derived from the French galette, you’re right. 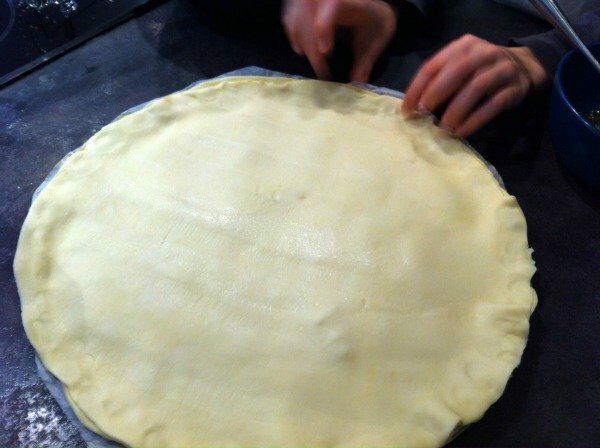 Let me know how you go if you make a galette! Oooh, I want to bake this. 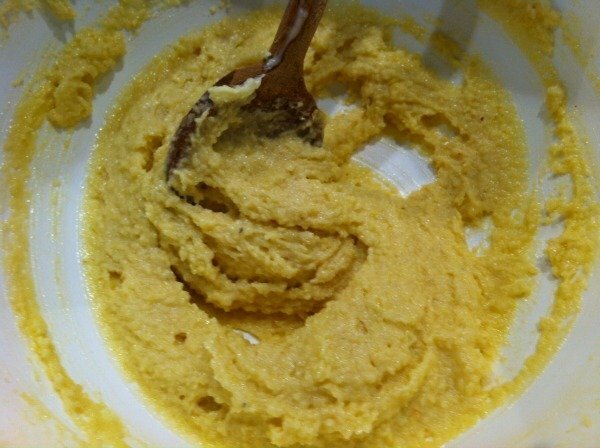 Can I just substitute store bought marzipan or almond paste instead of making my own? This reminds me of a New Orleans King’s Cake as a figurine of a baby is also hidden inside or under the cake. 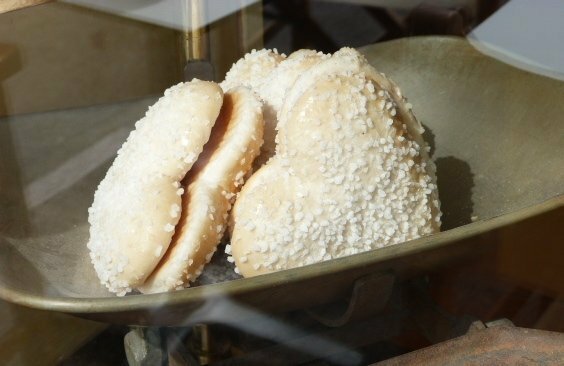 There’s much French influence in New Orleans, so it could very well be a descendant of the Galette des Rois. I really like the aspect of the youngest kid going under the table to declare who gets the slice. I might have to try to get that started at my house. I love almond flavor but galettes are just too sweet for me. I take one bite and ahh, I’d take a chocolate chip cookie over that any day. I always go for the apple-filled ones or the brioche style. What an interesting tradition. It sounds a bit like the British tradition of having a silver sixpence (or another coin) in the Christmas pudding. I don’t like the sound of all this subversive talk about Christmas pudding from Phoebe and Catherine! I’ve not heard of that before – it sounds lush! I wish I had seen this before Epiphany. We had a panettone instead! Oh that looks so delicious, I could eat a piece right now. What a delicious cake and nice tradition. Thanks for the recipe. I love traditions like this and it’s so important to keep them alive. I love anything with almonds in so this looks delicious. any excuse, I agree!!! 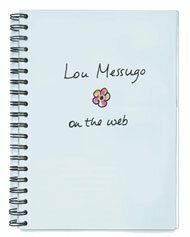 When are you booking your trip to Lou Messugo Cathy?!!! Oh your prices are so much more reasonable than on the Côte d’Azur! Great idea Sara, let me know how you get on and how the galette goes down. Ha ha Margo! 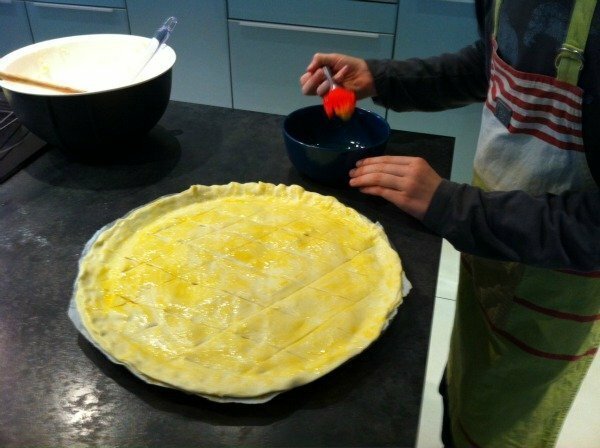 You don’t have to provide galettes for school, sports clubs, and plenty of greedy kids!!! 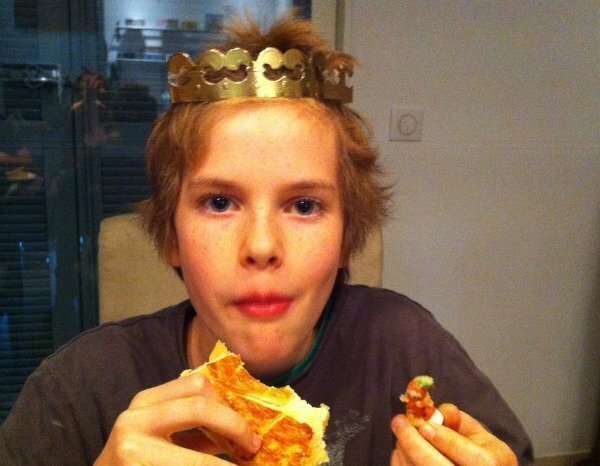 It would cost a fortune if I bought from boulangeries everytime I had to provide a galette. 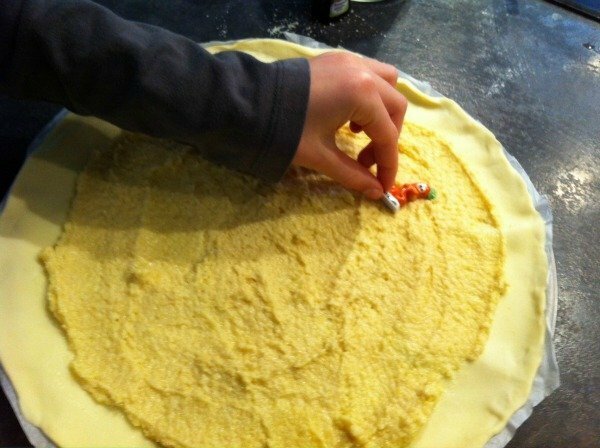 And the kids enjoy making them….but of course you can’t beat a good bakery. It’s soooooo much nicer than Christmas pud in my opinion! Give it a go Catherine. I love bought ones form the boulangerie, but I also enjoy making them, most years I do a bit of both. I love almonds, I love pastry. Sounds a whole lot better than Christmas pudding with its silver sixpence. I had better make it. BUT then I learned what all the craziness (under the table, I mean, really) was about, and can appreciate this silly tradition much more now that you’ve detailed what the ingredients actually are! 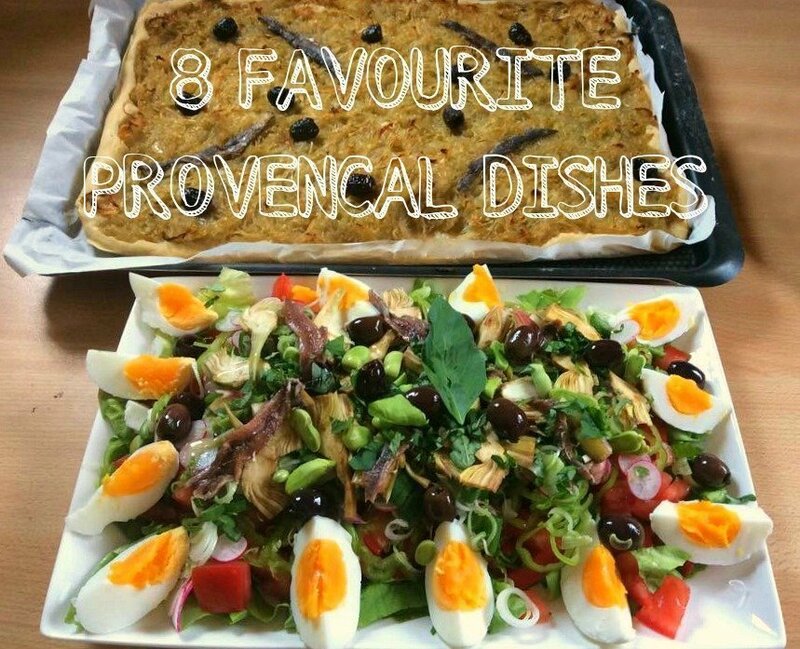 Cool post, tying French tradition in with a recipe! Thanks so much for sharing this recipe! I’ve really been missing France lately – and seeing this, I’m thinking it might be perfect to make for a family get-together I’m going to this weekend! I’d love to introduce them to a little piece of French culture (and it feels very appropriate as it’s a late holiday gathering). I made my own a few years ago, couldn’t believe how simple it was and delicious too, but I am a bit of an almond nut! I hope you find a pack Rosie, I’m sure it’s not too late. The main difference is price. 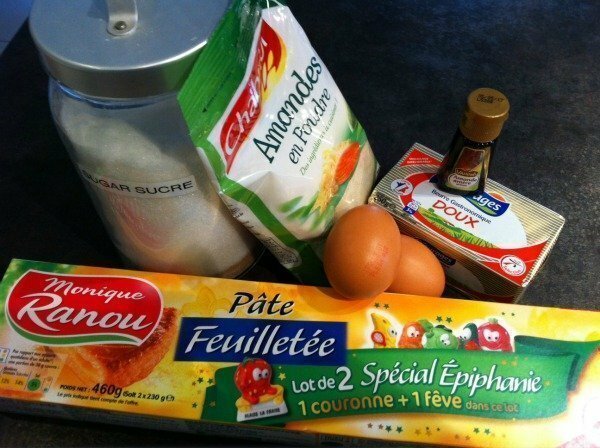 Galettes in my boulangerie sell for up to 40€ for an 8 parter, which is absurd considering the ingredients. Making your own costs around 5€ tops! It’s also fun to do with kids (my son is the cook in these photos). I never thought of making my own. 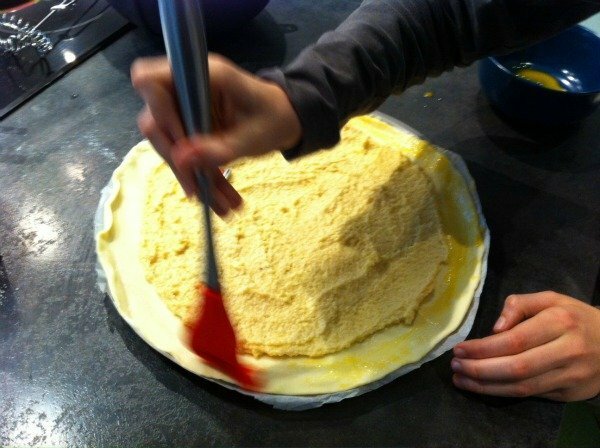 I suppose then you can put as much frangipane as you like! Did you find a real difference than those at the bakeries here in Southern France? 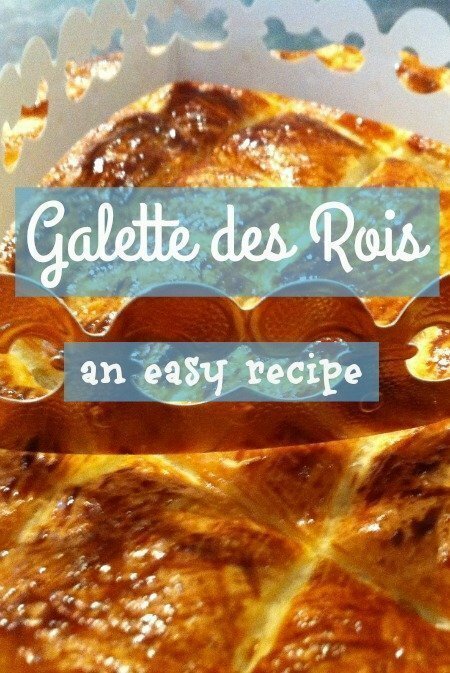 Oooh, I love a good Galette des Rois so I’m going to give this a go. I shall have to hope the pastry is still available with the fève and couronne included, otherwise I may have to add a real fève!